Connect your car audio mobile video system together with one of our 17 Foot video cables ! 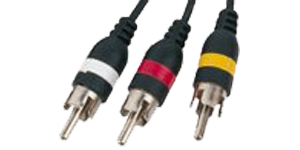 We carry both single video and audio / video combination cables to fit your needs. Our video cables are 75 Ohm and both the video and audio cables feature multi layer shielding to ensure the best possible picture and sound.